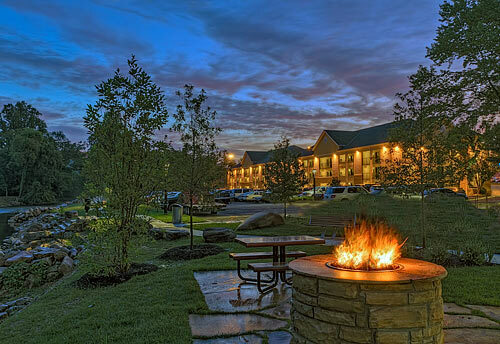 Located in Pigeon Forge, Econo Lodge’s non-smoking rooms feature either two queen beds or one king bed. 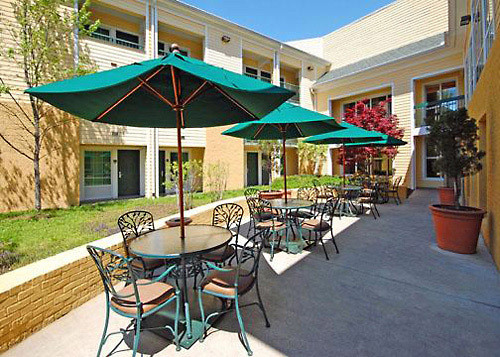 It offers a microwave, mini-fridge, coffee maker, iron and ironing board, hairdryer, free high-speed wireless Internet access, and 32-inch flat screen TVs in each room for your convenience and comfort! 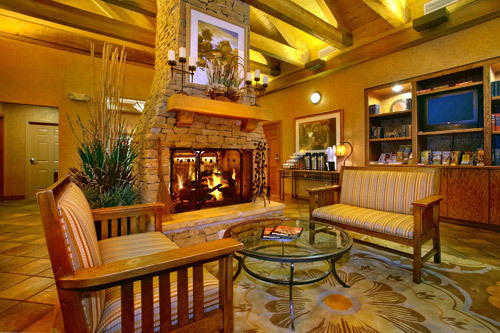 Also included is a free continental breakfast, indoor pool, business center and hot tub! 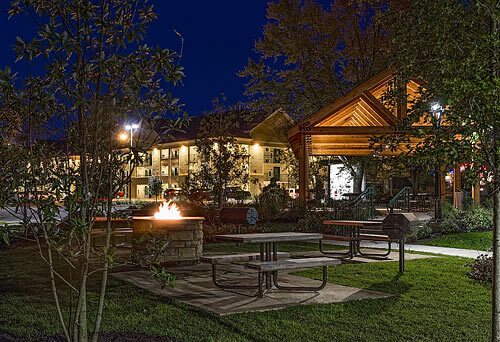 Riverwalk, picnic area and fire pit located along the river behind hotel. Microwave, mini-fridge, and 32-inch flat screen TVs in-room. 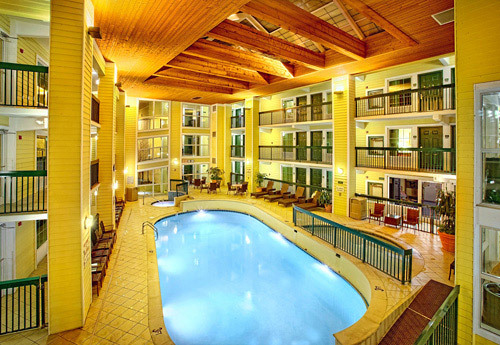 Indoor heated pool and kiddie pool. Convenient location on the Parkway. Our beautifully appointed 100% Smoke Free rooms feature either two queen beds or one king bed. 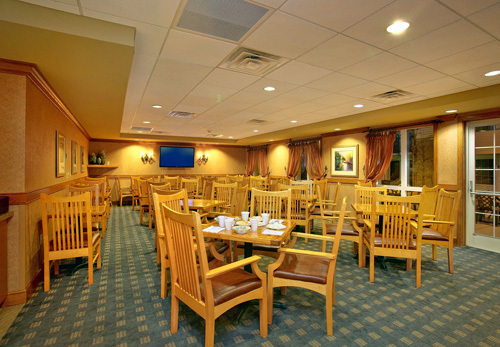 We offer a microwave, mini-fridge, coffee maker, iron and ironing board, hairdryer, free high-speed wireless Internet access, and 32-inch flat screen TVs in each room for your convenience and comfort! 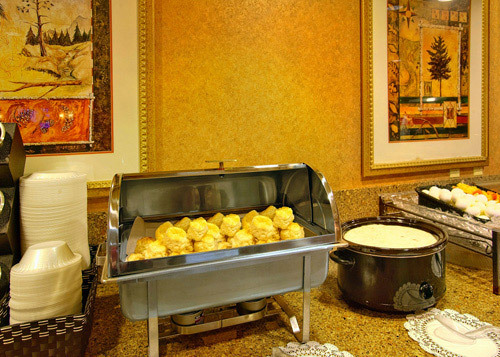 Also included is a Deluxe Continental Breakfast each morning! 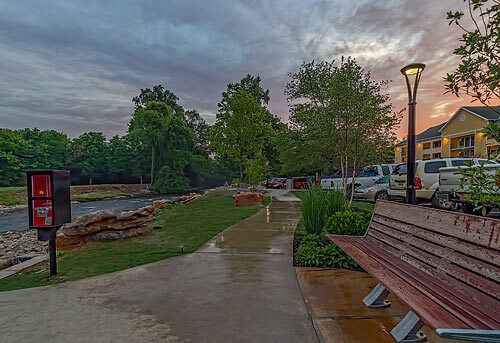 We have a trolley stop located out front of our property. 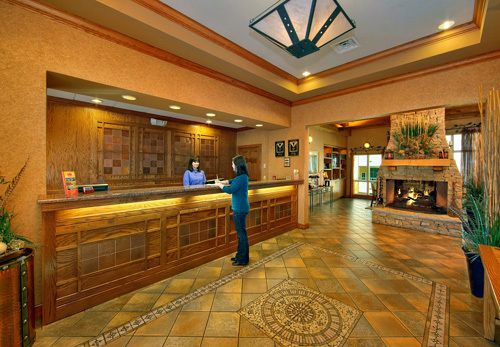 How many rooms are available at the Econo Lodge Riverside? 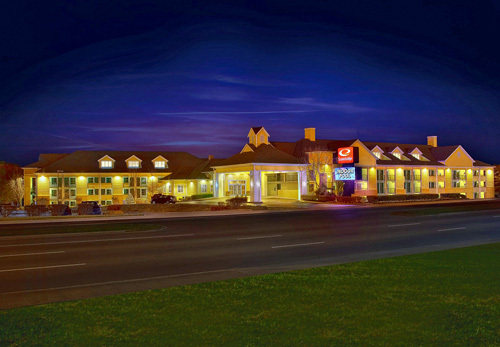 The Econo Lodge Riverside in Pigeon Forge has 201 rooms. The Econo Lodge Riverside has three floors. The Econo Lodge Riverside has a total of three buildings. 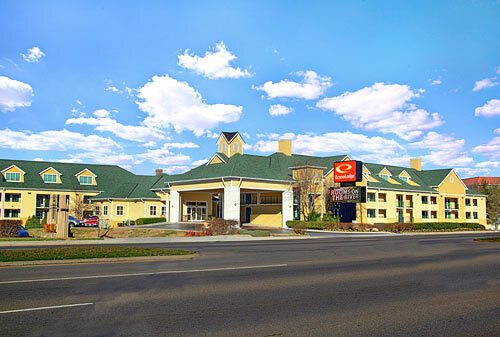 There are 38 pairs of adjoining rooms at the Econo Lodge Riverside Pigeon Forge. 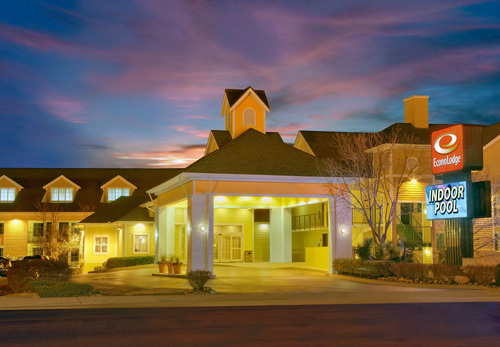 The Econo Lodge Riverside does not have a restaurant or lounge located on property. 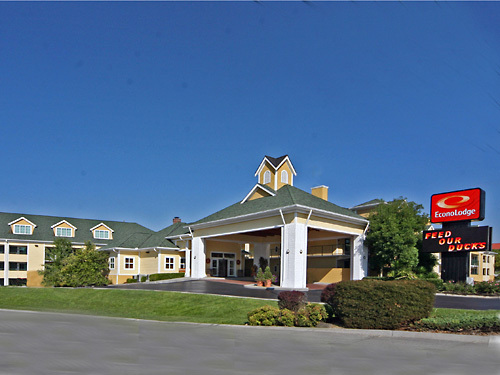 Guests must be at least 21 years of age to check-in at the Econo Lodge Riverside in Pigeon Forge. Exceptions are made on a case by case basis. 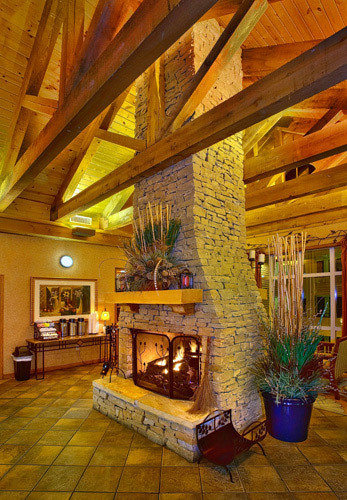 Does the Econo Lodge Riverside charge any resort fees? Do you charge for microwaves, fridges, cribs or rollaways? 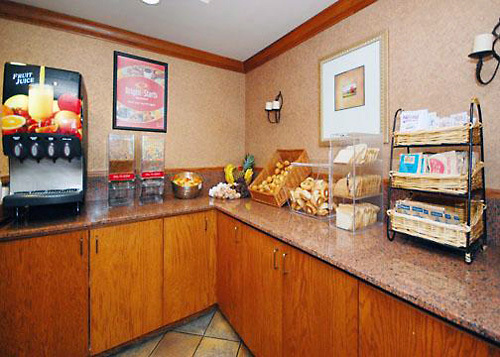 Microwaves and fridges come standard in every room at the Econo Lodge. Pac-n-Plays are available at no charge. Rollaways are not available. The Econo Lodge Riverside pool is open from 9am-11pm daily. Yes, guests may check-in as late as 3am. Is the Econo Lodge Riverside located on a trolley stop? Yes, the Econo Lodge Riverside is located on a trolley stop. 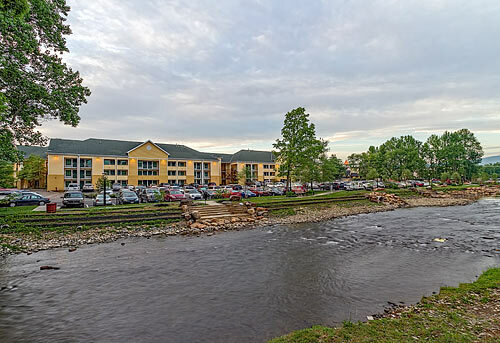 Is the Econo Lodge Riverside literally located on the river? Yes. 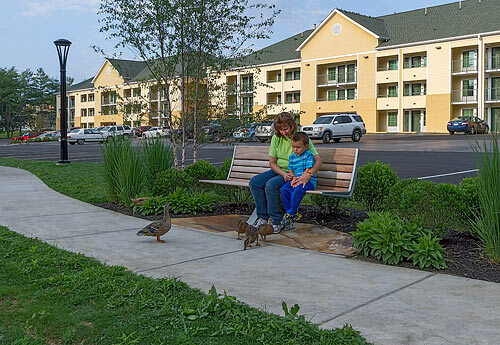 Guests can fish, swim, feed the ducks, have a picnic or play horseshoes at our riverside location.